On Thursday night December 6th, MacArthur International Spanish Academy took over the McDonald’s located at 1070 N. Roselle Rd. 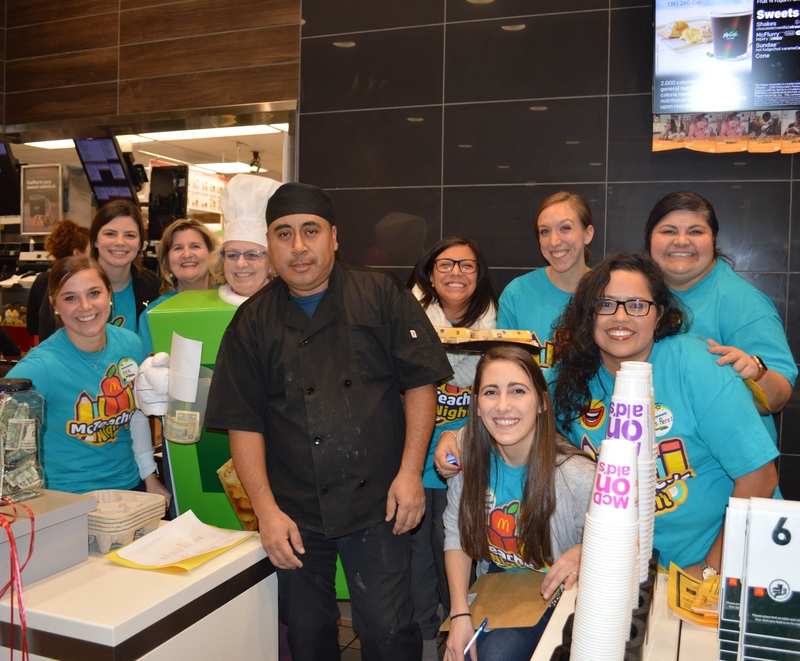 in Hoffman Estates for their 3rd McTeacher’s Night. 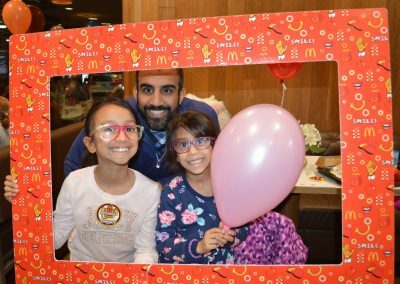 Students were thrilled to see their favorite teachers – especially Principal Esquivel and interim Assistant Principal Ancona – outside of the classroom at an event to raise money for their school. 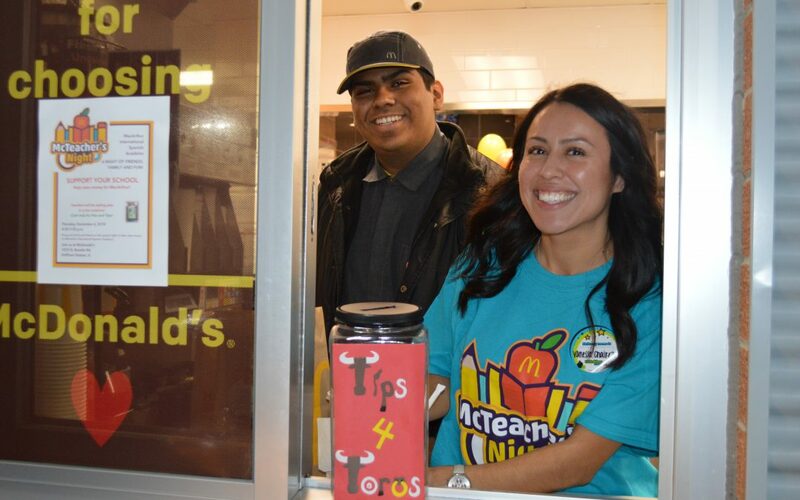 Principal Esquivel did an amazing job throughout the evening collecting tips and receipts at the front counter. Her energy and stamina allowed for great tips from customers and all the families enjoyed seeing her smiling face. 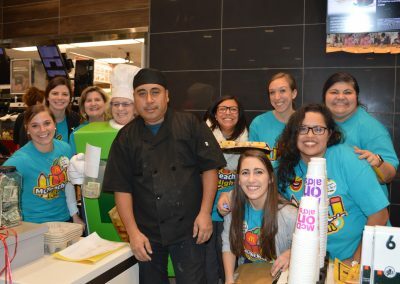 As for the rest of the teachers, they were hard at work greeting families entering the restaurant, taking orders at the registers, calling out prepared orders, and selling pies throughout the restaurant. Teachers Marcis, Gafron and Carpenter all took turns in the Pie Costume to support MacArthur. All in all, it was an outstanding evening filled with joy. 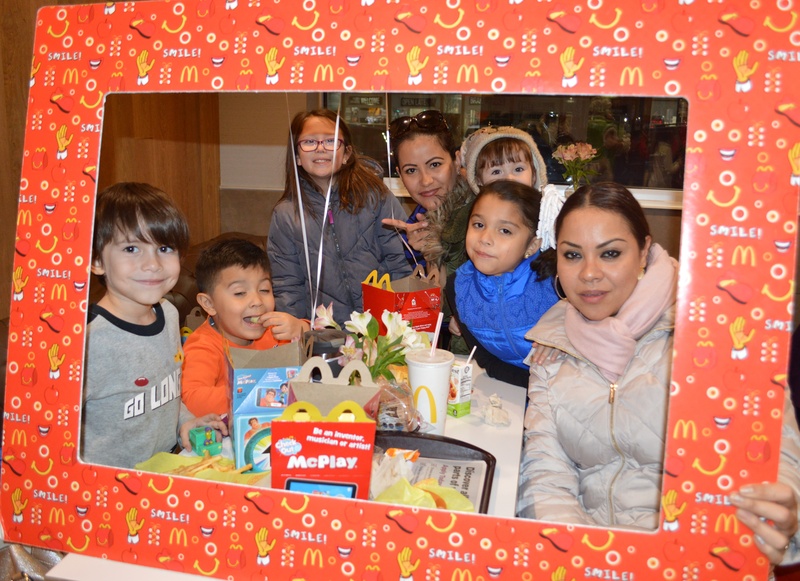 It was all made possible by The Bear Family Restaurants, Owner-Operator David Bear, as well as MacArthur International Spanish Academy and the wonderful support from their families, students, and staff. 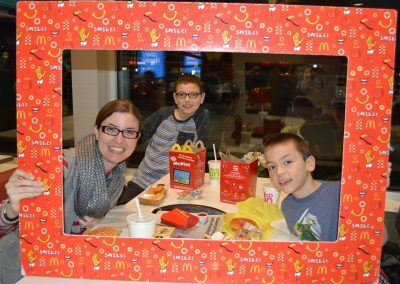 A special thank you goes out to Alex Partipilo a teacher at MacArthur who organized the entire event. 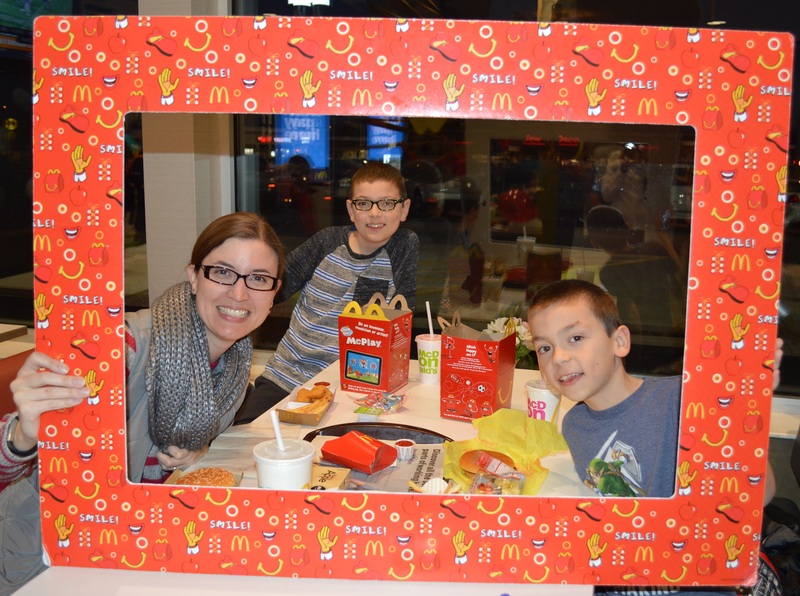 The MacArthur McTeacher’s Night was courtesy of the Bear Family Restaurants and McDonald’s Owner-Operator, David Bear. Like us on Facebook and visit ourBear Website .